Maple solids and Mahogany veneers. 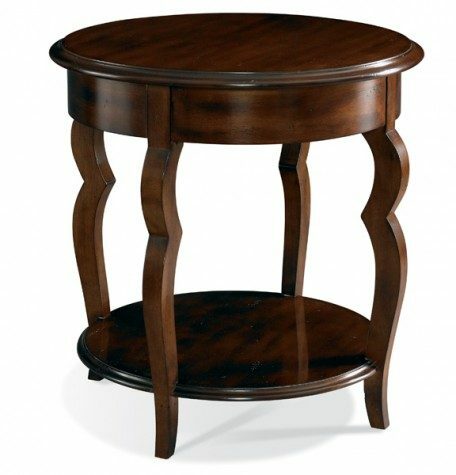 Stylish Country French round accent table with an aproned top and a fuctional lower shelf. The French shaped leg adds a touch of country flair.